The Honda Civic Type R is finally making its way to South Africa. Launched at the Geneva Motor Show, the Type R exceeded expectations. An outrageous body kit, more torque than the previous generation and 228kW of power. It seems all the anticipation and waiting will be well worth it. The Honda Civic Type R enthusiast in Johannesburg will agree, the new turbocharged 2.0 litre four-cylinder engine is capable, to say the least. 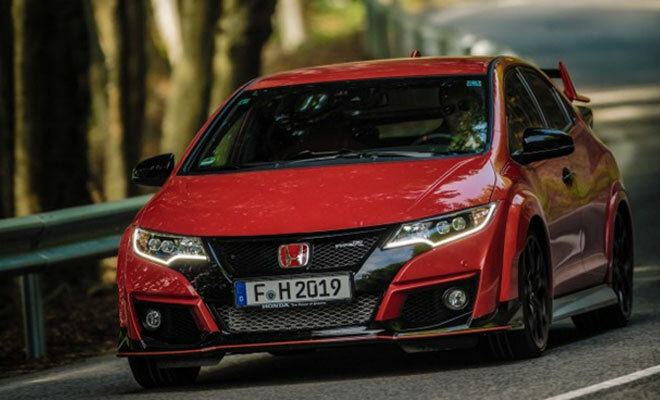 The fast-spooling turbocharger, direct injection and VTEC valve technology allows for 228 kW and 400Nm of torque which is, needless to say, more than any previous production Type R. Paired in standard with a short-shifting six-speed manual transmission that channels the power to the front wheels, the new Civic Type R can hit 0 – 100 km/h in 5.7 seconds, while its top speed stands at a segment leading 270 km/h. Bringing the 228kW powered hot hatch to a quick stop are four-piston Brembo front callipers clamping down on 13.8 inch drilled rotors hiding behind those specially designed Honda Type R tyres. A new Civic Type R is always a wonderful thing, this one is even better. Contact your local Honda Dealer inRivonia and Sandton for more on the most anticipated vehicle of the year.